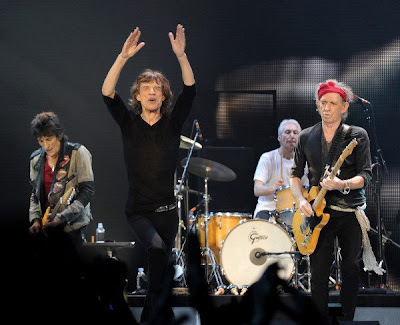 The Rolling Stones have announced the final show of their current “50 & Counting” North American tour which kicked off last week in Los Angeles. The new date will most likely take place on June 24, 2013 at the Verizon Center in Washington, D.C. The date may be changed due to the NHL playoff schedule. Tickets go on sale Monday, May 13 at 10am ET. The band were joined by Keith Urban (video here) and No Doubt's Gwen Stefani (video here) at the tour kick off at the Staples Center in Los Angeles last Friday. Tom Waits jammed with the band at the second show of the tour in Oakland on Sunday night (video here).